Hello my gorgeous winter bunnies, today I am going to share with you one of Yves Saint Laurent’s latest inventions, Volupté Tint-In-Oil. 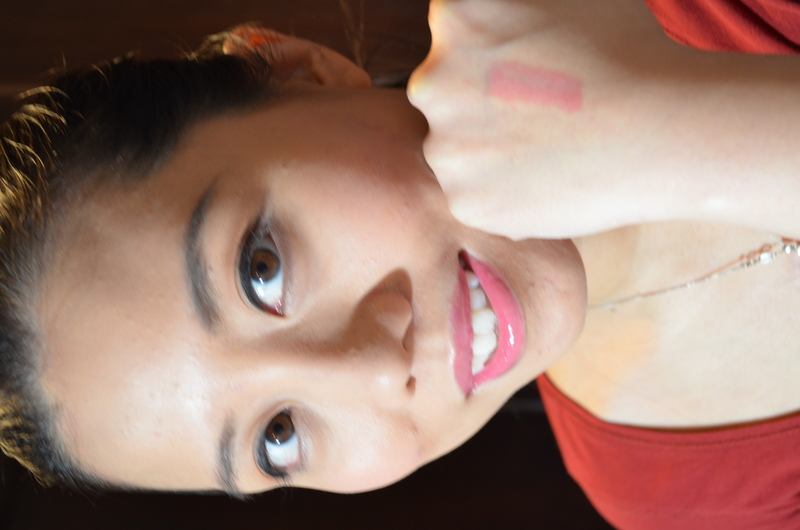 According to their website, it is a revolutionary lip colour with a lip tint suspended in a deep conditioning oil. It is infused with a blend of four essential oils for deep hydration: apricot kernel oil, coriander fruit oil, jojoba seed oil, and possiflora edulis seed oil. 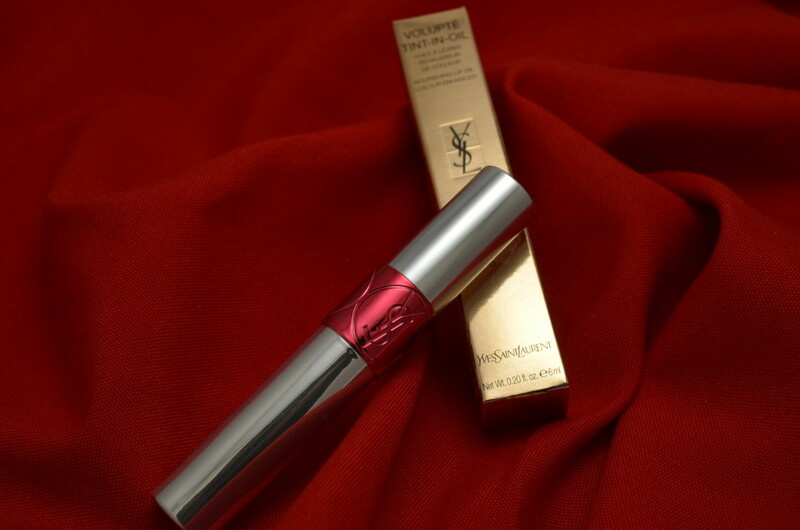 I have been using the YSL Rouge Volupté Shine for years and that line of lipsticks is known for having a strong colour payoff and being creamy. I personally like it a lot because of how moisturizing it is and it never accentuates lines on my lips. Honestly, it is just perfection. 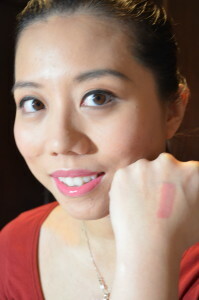 So as soon as I see this new line of lip tint from Sephora, I know I NEED to get it. The Volupté tint-in-oil is selling for $35 each, it’s definitely a splurge item but you will soon see it’s worth every penny. 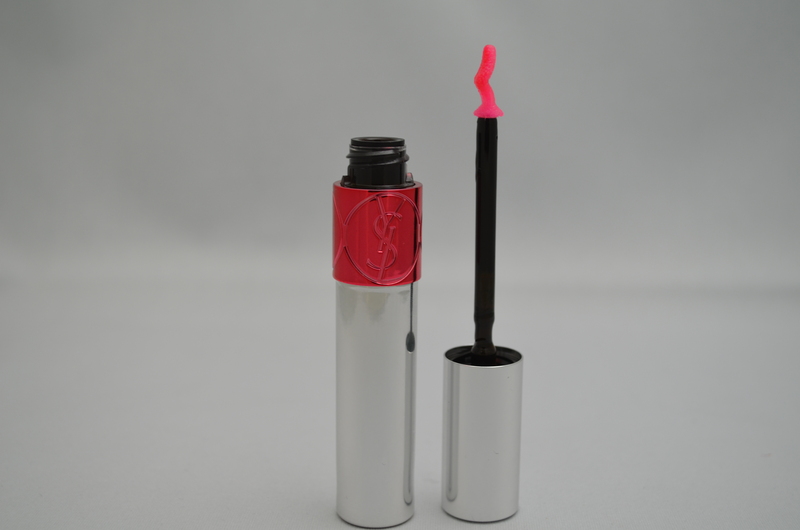 The packaging of this YSL lip tint is beautiful, it is in a silver tube with the YSL logo ring which reflects the colour of the tint. The colour that I chose was Cherry Me Cherie 5. The scent of the product is very present, it is fruity (like mango) but definitely not overwhelmingly sweet. As soon as you put it on for 5 minutes or longer, you can no longer smell the product on your lips. The most interesting thing about this product is its applicator, I have never seen or used an applicator like that before. 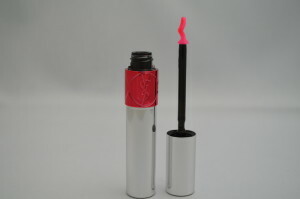 The bent of the applicator hugs my lips and distributes the product perfectly and evenly. 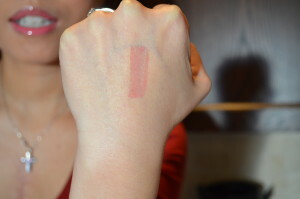 This tint is very unique because when you first swatch it, it looks rather faint or transparent. As the product warms up, it changes to the colour suggested on the tube. 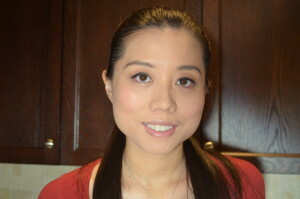 But when I apply it, I think it still has that hue but it will magically adjust to your skin undertone. 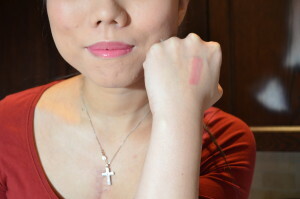 I found this out because I feel that the colour swatch on the back of my hand is somewhat different from the colour I applied on my lips. 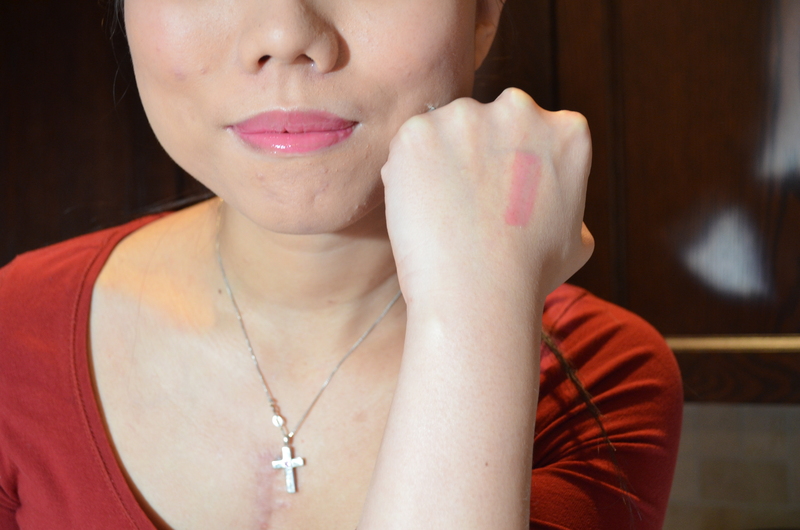 As you can see from the swatches, the swatch on the back of my hand looks substantially lighter than on my lips as my hands are paler than my lips which leads me to believe that the gloss tint can adjust its colour depending on skintone. Furthermore, the glossy effect on this product does last for hours, even through my Mix Barre class. I put the lip tint on before I go to my class and after one hour of intense workout, my lip tint is still on and I have been drinking water throughout the entire workout. At the end of the class, I can still see the tint on my lips. Even after I finished dinner when I wipe my mouth, I can still see colour transferring to the tissue. 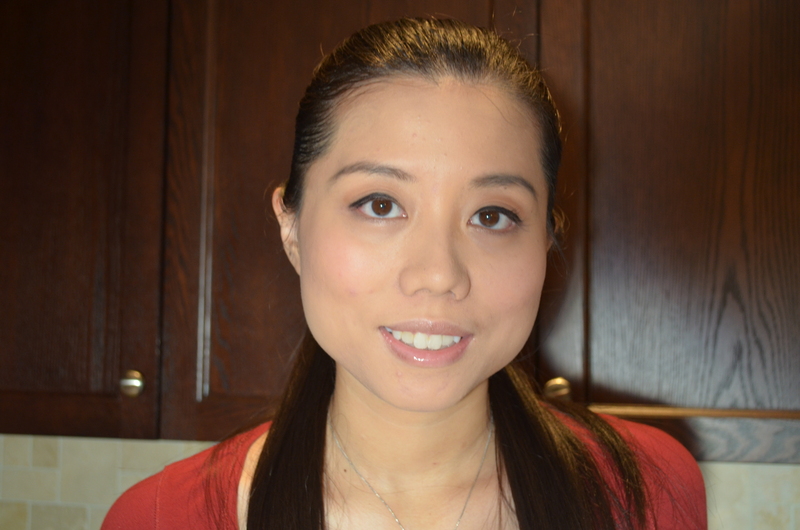 In addition to the longevity of the product, I also really enjoy the texture. First, it is not like any lip tint I have ever tried, this YSL product is not sticky, is not drying and feel really comfortable on the lips. It is definitely something that you can wear the whole day. The bottom line is I will recommend this product to anyone that want a everyday lip tint that is hydrating in this kind of cold Canadian weather. I enjoy my tube immensely and I can’t wait to get more colours. Thank you very much for reading. Don’t forget to like and tell me what you think on my GlitterMommy Facebook Page. or Comment and Follow my Instagram account @glittermommy_official.